Hugo and Roger are just so adorable! Hawkeye just loves his new turtle!!! Hawkeye does look rather cozy in there doesn't he! And probably wondering why you have a camera instead of veggies!! In recovery, Rudy stealthily re-purposes his corner pocket to protect himself from eagles while hydrating. I love how they "re-purpose" stuff and re-arrange what they need. Very funny! Seeing little ones enjoying their things, it just gives me warm and fuzzy happy feelings. I really do appreciate the pictures, my brighter spots on the gloomy days, or month as case may be, and do repeatedly go back to when I need another smile. As much as I hate to admit it, not much else has gotten me to actually smile this past year that didn't have something with a piggy (or other animal) in, so in a way, all the photos have been a life line of sort. Onward to making more happy memories! Now until September 6th, Free Shipping within the USA on any order $75.00 or more. There are still some Loungers, Tunnels, and Cozy in the pre-made section on sale to. I just have to stop - my budget is cracking. My pigs all love love love the acorn house, the pumpkin house, the sled, the turtle - anything that comes from winde spirit! I know what you mean Jacqueline! There is always the getting ready for Christmas excuse too :-p.
I feel like an idiot asking, but can you help me find the fabric selection page? Thanks in advance. Naw, don't feel like that Dribble! I keep trying to put the milk in the pantry and pantry stuff in the fridge for few weeks now. *blush*. The fabrics link is on the right side of web site pages now, under were it says Products and Pre-mades. Sorry, I can't resist adding my little story. The inspection sticker on my care says 7/2014. I go through great machinations to take a day off of work, figure out the best day and time to line up, and I'm there. First thing in the morning. First in line. I'm so proud. I pull up. The monster of a man grumbles good morning as I hand him my papers. He pauses then points to my sticker, and the additional sticker that allows me a year's extension. "You don't need to be here till next year" he says. I pause. I smile oh so sweetly, and say, "I knew that." Another longer pause. "Have a great day" I say as I turn around and I back my car out and drive away. . .
Hehehe, that's too funny Jacqueline. I can say I haven't done that before. Years ago when I was 21-23'ish I went into work one night and everyone looking at me like I was certifiable crazy. It wasn't my night to work! Did it 5 more times in 15 years and countless close calls caught myself or S.O. caught me just before leaving the house. A new Paw Crew Member in the future? Something inside clicked and I fell in love. For the first time in nearly a year, I found a piggy that "feels right". So the quest to find someone traveling even remotely towards Texas, or just east even from southern California. Alas, nothing and nobody has yet responded. 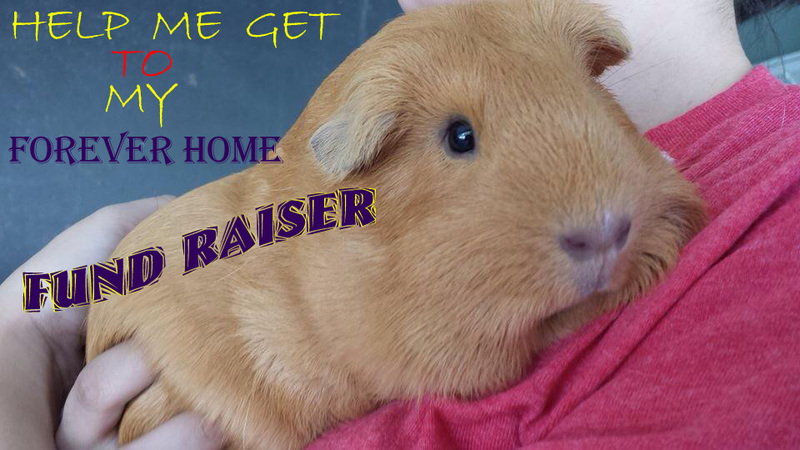 But I am determined to get to Beatriz and bring her home! In a effort to raise the money I need to make the entire 25 hours drive there and 25 hours back home. Gas estimation (by mapquest) is over $500 and that is not including any food, drink, or even a night at a cheap motel to rest. Crazy, I know, but you explain logic to a heart. Spoil your loved ones while you help us make our family a reality. If you aren't to worried about what fabric prints are used, I have many things unlisted that is pre-cut and that means I'll get them done even faster, and to you. Acorn, Gumdrop, and Pumpkin Houses are all $5.00 off for the fundraising duration. Everything in the Pre-made section is discounted ! 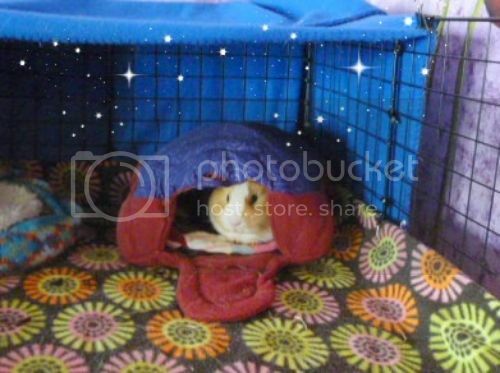 And all pre-designed Cage Blankets are also discounted ! For those that rather send money, I've created a donation button on my Sales & What's New page. Edit to add - I'd be more then happy to help other paws travel if needed. 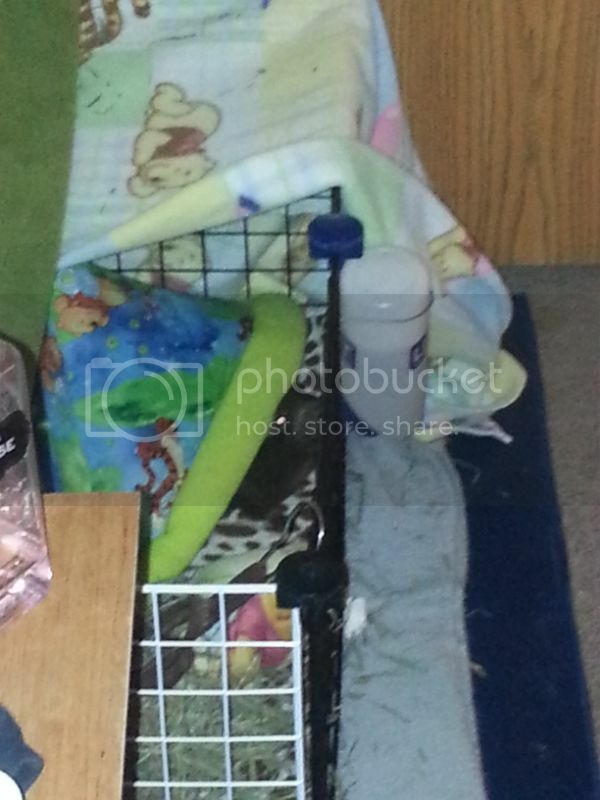 That is an awfully cute guinea pig! I hope everything works out for you!